Lit. clarification for the artisan-builder. The best known manual of construction and building design. It is based on oral tradition and simple manuals known to have existed in the Muromachi period (1392-1568). The ratio and proportion of structural parts began to be recorded during the early 17c. From these sources, Heinouchi Yoshimasa 平内吉政, the head of an ancestral line of master carpenters originally from Wakayama and Kyoto, was able to put together instructions for his son, Heinouchi Masanobu 平内政信 who wrote the SHOUMEI in 1608. In 1610, Yoshimasa, in an addendum, sternly exhorted his son and succeeding generations against revealing their secrets of design and construction to other carpenters and their families. The Heinouchi clan was the official master carpenter's family for the construction department of the Edo shogunate, Edo bakufu 江戸幕府. The original SHOUMEI was brush-written in five scrolls, each containing specific proportions and ratio of parts in minute detail. Rough sketches of building types were also included, as well as the proportion of all wooden parts and even notations about various individuals' experiences. When working on Wakayama Tenmanguu 和歌山天満宮 and Izumo Taisha 出雲大社 in Shimane prefecture, Heinouchi Yoshimasa admonished all carpenters to not only skillfully construct the building, but to strive for excellence in wood proportion, mathematical calculations, carving and drawing. Only copies of this text exist today. The oldest extant is owned by the University of Tokyo Faculty of Engineering, and is dated between 1697 and 1727. SHOUMEI consited of the followiing five scrolls:1. MONKISHUU 門記集, dealing with various gates.2. SHAKISHUU 社記集, dealing with shrines, including buildings, gates and fences such as *tamagaki 玉垣. 3. TOUKISHUU 塔記集, discussing pagodas and *kurin 九輪 with nine rings. 4. DOUKISHUU 堂記集, dealing with temples including main halls, priests' quarters, belfries, and pagodas. 5. DEN'OKUSHUU 殿屋集 about palaces the noh stage, and a gate called *heijuumon 塀重門. Also kikudaki 木砕. A system for measuring out the wooden components to be used in architecture or statuary. Kiwari (literally wood-cutting) was originally the first step in calculating required wood-block sizes before cutting (see *kidori 木取). However, it developed to include rules used in the assembly stages. In architecture the dimensions of the rafters *taruki 垂木 are taken as the basic unit, and the proportions of the bays, projecting eaves and so on, are then calculated according to a formula based on the size of the rafter. This formula is specific to the building in question, and does not have a fixed length or ratio. This formula is known as kiwari. When making a sculpture from a number of separate parts (see *yoseki-zukuri 寄木造), kiwari refers to calculating the dimensions of these parts in relation to one another. In the Heian period each sculptor used his own kiwari measurements, but by the Edo period they were largely standardized . Books describing kiwari are known as kiwarisho 木割書. shiwari　枝割Rafter interval system. A measuring method begun in the mid-13c used to determine the proportions of a building's structural materials. The unit of measure was based on the sum of the height and width of one rafter said to equal 1-shi (一枝). This measurement was used to determine the distance between rafter centers, the distance from the center of one pillar to the center of another, the depth of eave projecton, outside measurements (gaihou sunpou 外法寸法), the width of frog-leg struts (*kaerumata 蟇股) and other building measurements. 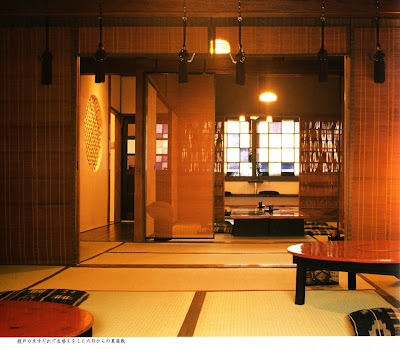 The oldest extant example of a building employing this system is the Rengeouin Hondou 蓮華王院本堂 1267, Kyoto. (also popularly known as the Sanjuusangendou 三十三間堂 , lit. 33-bay-long hall).